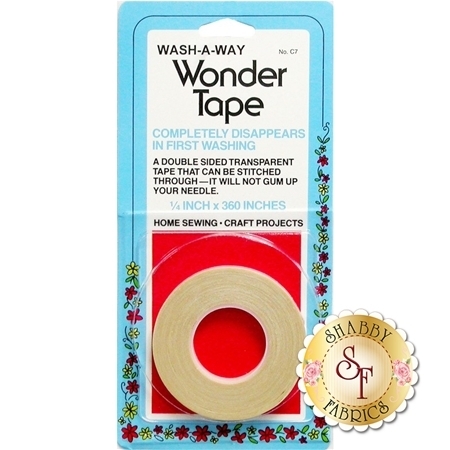 Wonder Tape is a double-sided transparent tape that can be stitched through without gumming up your needle and disappears in washing. Use to position binding, fabric, zippers, appliqués and pockets. It's also handy for matching plaids. 1/4" x 10 yards.